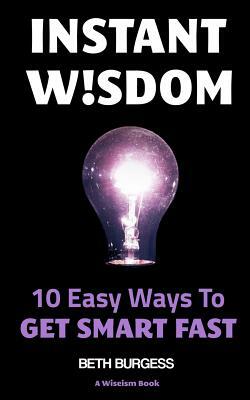 This book will make you smarter, more capable and more creative, super-fast - whatever your IQ. Have you ever had a problem at home, work or in a relationship that you just couldn't figure out how to solve? Have you felt stuck and frustrated because you can't come up with a good solution? Maybe it's a problem that's been niggling at you for ages, draining your energy and making you unhappy. Or maybe it's an ambition or project which you can't seem to complete or achieve, no matter how hard you try.